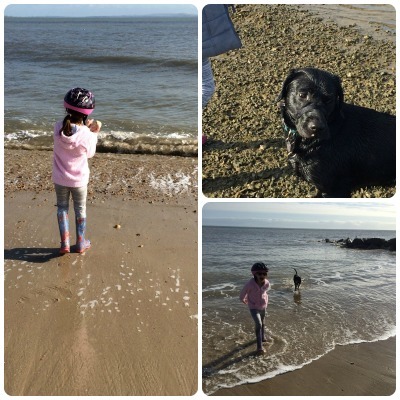 We’re always looking for places to take Lola, and now she is starting to behave herself a little more around people and dogs, we decided to make the most of the sunshine and head to Hengistbury Head. Miss A wanted to take her bike, but instead of following the path from the car park to the beach, we followed the shore line so Lola could get some off lead exercise. My top tip of the day is to take two balls on an outing with your dog as you are bound to lose one! 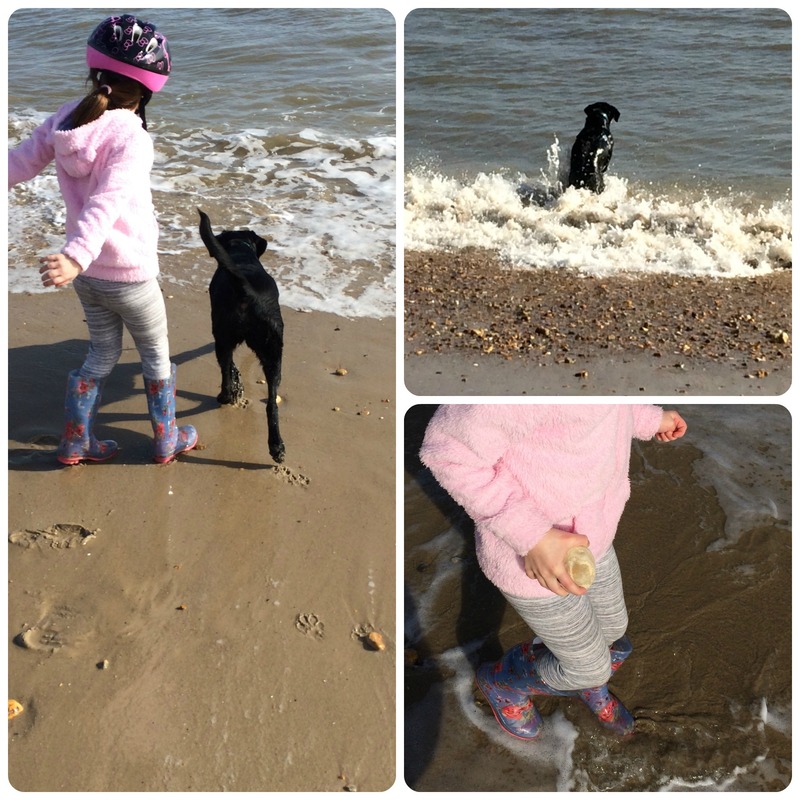 We started off throwing the ball just to the shore line for Lola to retrieve, but as she got more confident the ball went further. It did go out of her depth after a while and she decided to give up on it and return empty mouthed. Miss A was attempting to skim some stones whilst we were playing fetch with Lola, but she soon wanted to see what we were up to. It must have been more exciting than the ball. As we crossed over toward the beach the sun was out and it was warm enough for no coats. Lola seemed to like the waves to start with but then began to run away from them. Miss A and I both got a little wet over the top of our wellies, but we were both still smiling. The second ball went out a little further than Lola would like after a while and we didn’t think she would go and retrieve it, but after a little encouraging, she did manage to bring it back. With a soggy dog and almost soggy Miss A we decided to return to the car via the road so Miss A could ride her bike. Needless to say Lola slept most of the way home in the car. Love it there. Used to walk up from Bournemouth and get the bus back! Well done on making that walk. We went there a few months ago, it is a really lovely place isn’t it. We didn’t explore it enough though so I plan to go back soon! It’s a lovely place to explore, so much space as well. Looks like Lola had lots of fun in the water! 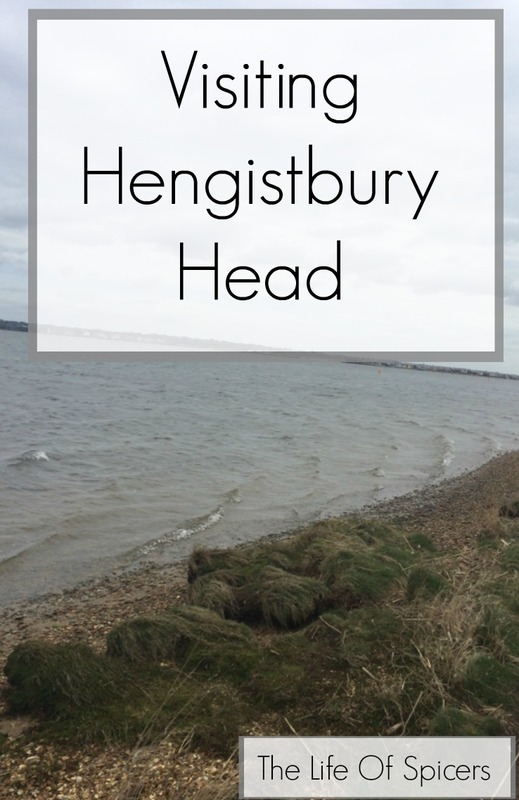 I used to go to Hengistbury head every year by ferry for a day trip from Mudeford where we used to holiday each summer. Then we used to catch a little train along to the cafe. That’s the Noddy Train. It’s still running but we were good and walked this time. We’re becoming accustomed to losing balls. Dogs are such a joy aren’t they. It looks like you all had a great time! I do miss having a young dog that the Little A’s can play with. Miss A and Lola have a great bond, we are very lucky.